There is no doubt Facebook is the king of social network sites has above 1 billion active users for every month but most of the users not like Facebook Ads on their home page and timeline. Are you fed up with Facebook Ads? 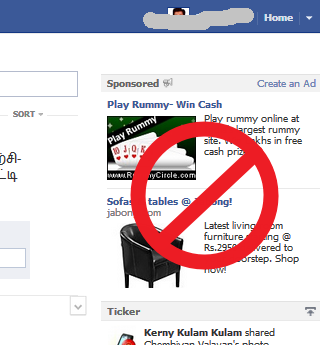 Here the simple tutorial to remove Facebook ads. Click and install below extensions depend upon your web browser.